Here's our 2018 award ! Just want to shout it we won again ! Were Proud award winners ! This is the third consqecutive year in the business hall of fame ! 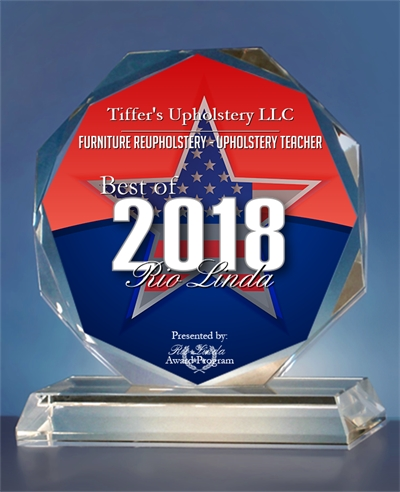 Tiffer's Upholstery has won awards for the last three yrs. 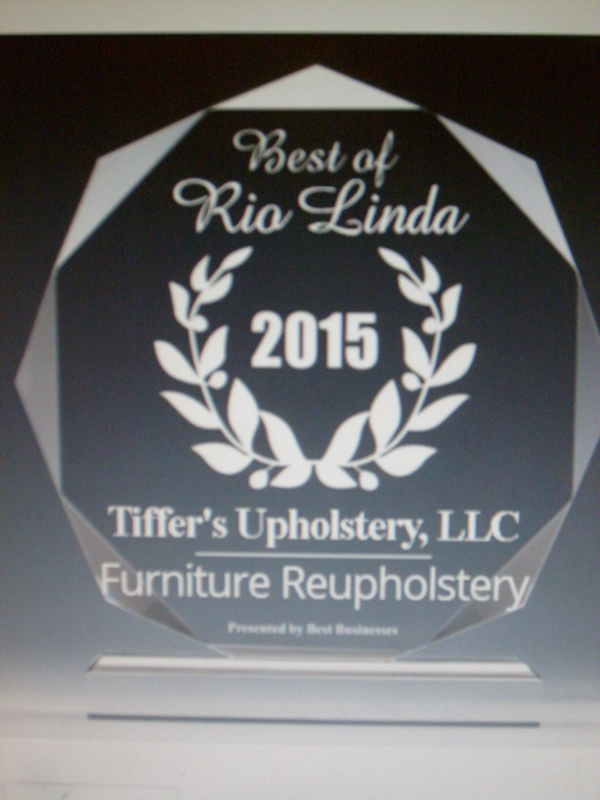 Tiffer's Upholstery LLC wins again. 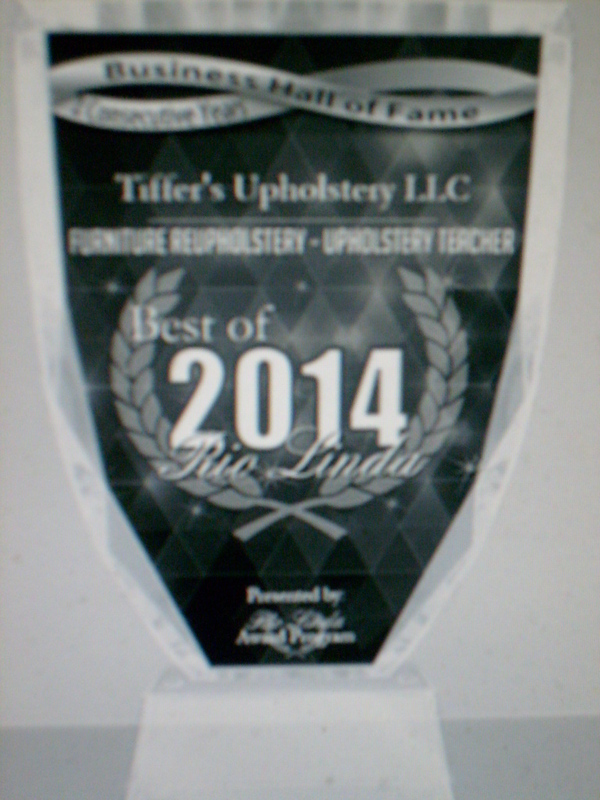 What is the Rio Linda Award Program ? Each year, in and around the Rio Linda area, the Rio Linda Award Program chooses only the best local businesses. We focus on companies that have demonstrated their ability to use various marketing methods to grow their business in spite of difficult economic times. The companies chosen exemplify the best of small business; often leading through customer service and community involvement.